These tutorials provide a visual introduction to the main functional areas of ZionWorx. We hope they help communcate the ease with which ZionWorx can be picked up by even novice users. If you have any queries or suggestions please Contact us. Please note: If you have difficulty viewing the tutorials on this page then please view them directly on YouTube - thanks. Learn the basics of how to find a song from the database and display it live with a theme applied. If you're an existing user of ZionWorx v2.6 this video will show you how to quickly transfer your songs from v2.6 and import them into your new ZionWorx 2014 database. A brief look at how to manage your image and video files, followed by an example of how to create a photo slideshow in a few clicks, and how to play a video clip. In this video you'll learn what options are available for getting Bible text into ZionWorx and how to select and display it effectively. If you want to show a high-priority message in full view of your audience then an alert message is what you need. In this video you'll also learn about the QuickSlides feature which provides a convenient way to display simple text with themes and even live editing. A short guide to configuring multiple live video inputs and how to use the built-in vision mixing capabilities. See just how easy it is to get a live video feed behind your song words! An introduction to the way themes are used in ZionWorx and how you can harness this powerful feature. 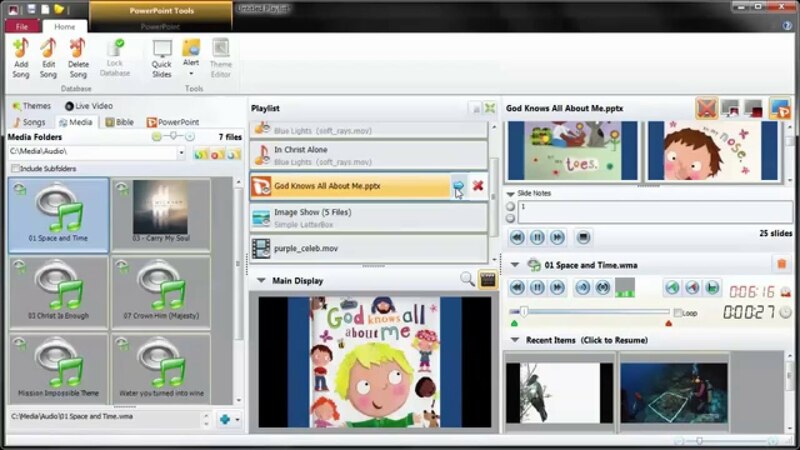 ZionWorx 2014 is a large application with a lot of features and options. This video looks at those settings that aren't covered elsewhere, with information to help you get the most of the software on your PC. A detailed look at the various ways to use audio within ZionWorx (v3.6.5.0 and later). From playing a standalone MP3 audio track to attaching audio to other playlist items, this tutorial covers all you need to know.